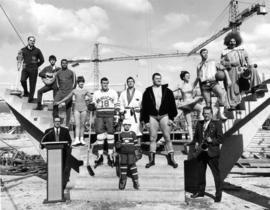  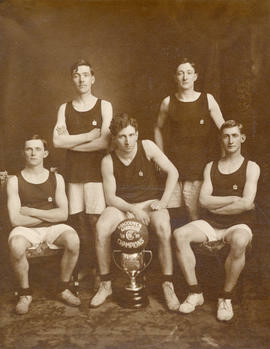 Players are identified from L-R as: F. Fraser, M. Adam, N. Senkler, E. Paterson and E. Darling. 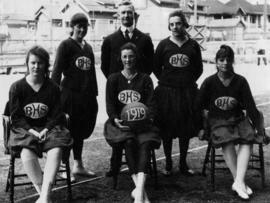 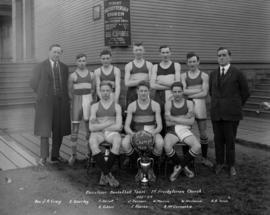 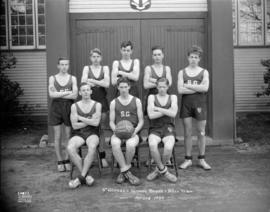 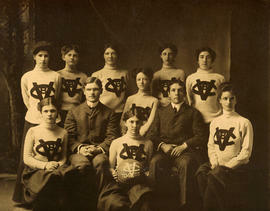 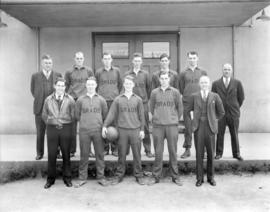 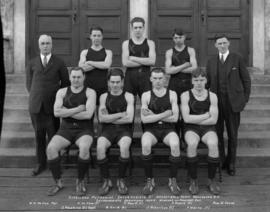 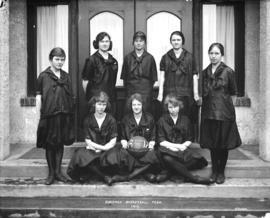 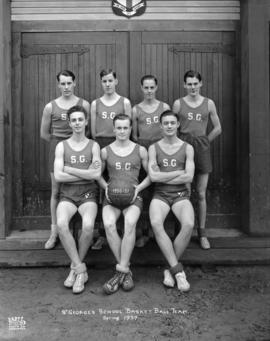 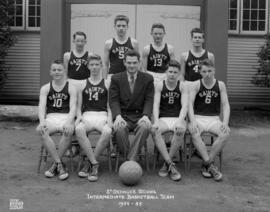 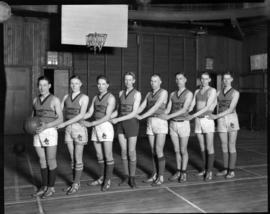 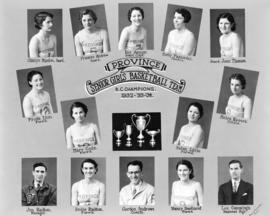 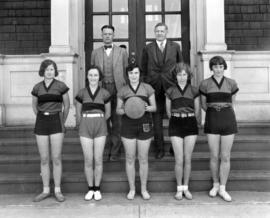 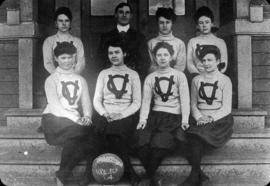 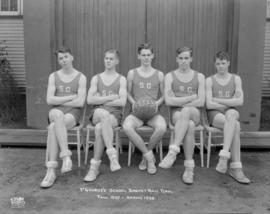 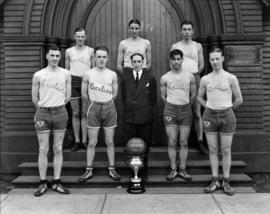 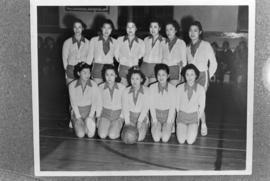 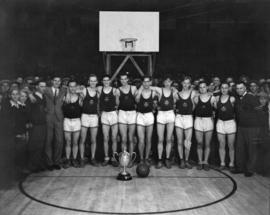 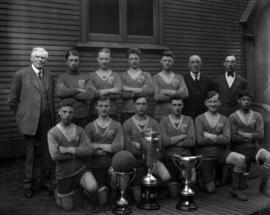 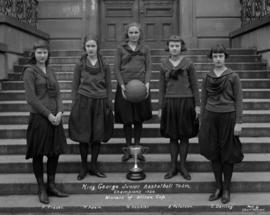 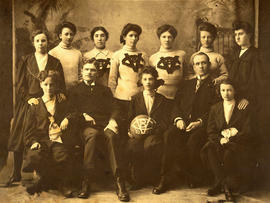 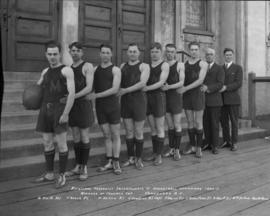 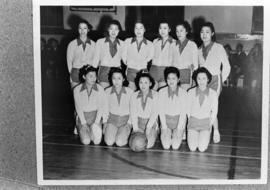 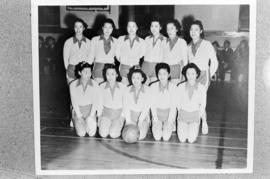 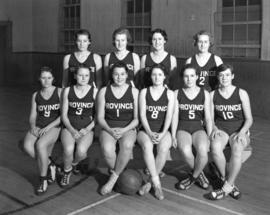 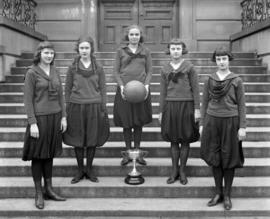 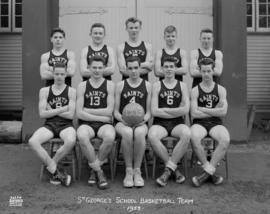 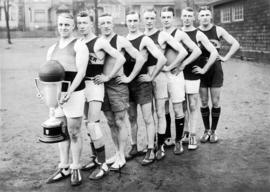 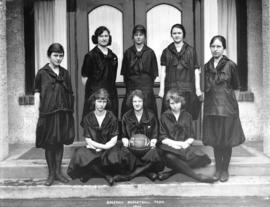 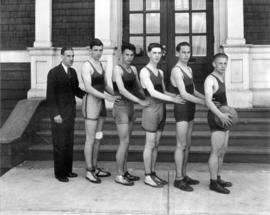 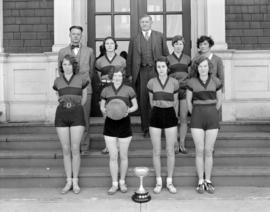 Item is a photograph showing eight men from a men's basketball team, 1923. 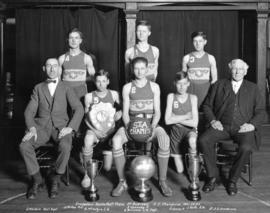 James C. Ralston is pictured third from left. 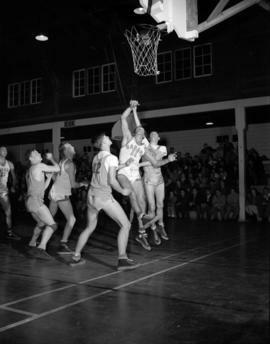 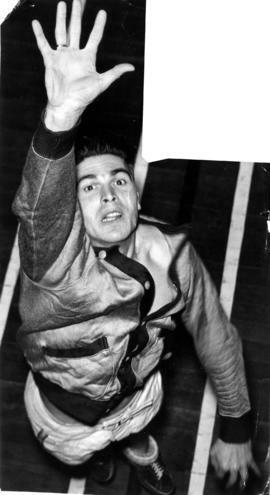 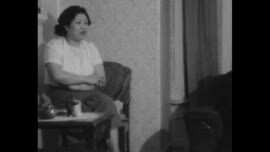 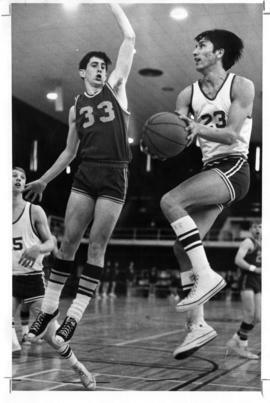 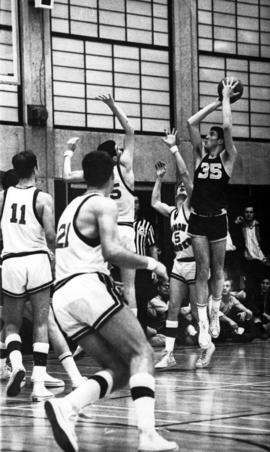 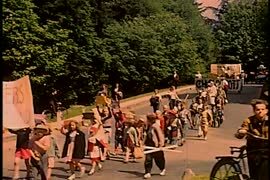 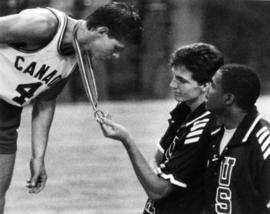 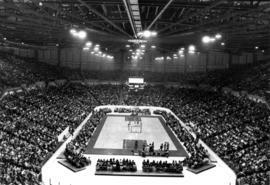 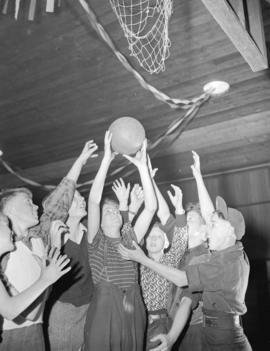 Item is a film showing footage of social scenes in a living room, snow scenes outside, people loading a truck with boxes, a basketball game with the Harlem Globetrotters, a ping pong tournament and an ice hockey game. 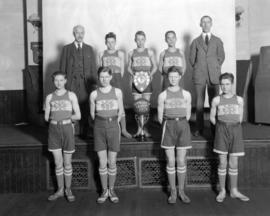 Item is a photograph of a halftone reproduction of a photograph.